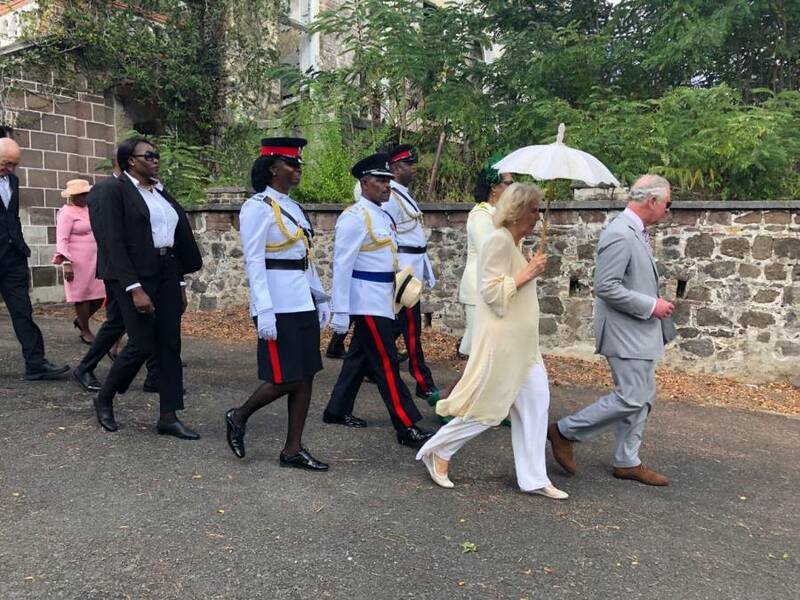 The Prince of Wales and the Duchess of Cornwall today wrapped up their visit to Grenada as part of a 12-day tour of the region. The royal couple visited St Lucia, St Vincent, Barbados, St Kitts and Nevis and is expected to next visit Cuba, making them the first members of the British Royal family to do so. They arrived aboard a Royal Air Force aircraft at the Maurice Bishop International Airport (MBIA) just around noon, after which they visited the new Parliament building where they were greeted by Governor-General, Dame Cecile La Grenade, Prime Minister Dr Keith Mitchell, Speaker of the House of Parliament, President of the Senate and other dignitaries. The Prince of Wales then greeted and inspected the arm forces of the Royal Grenada Police Force before retreating to a ceremony inside the House of Parliament. 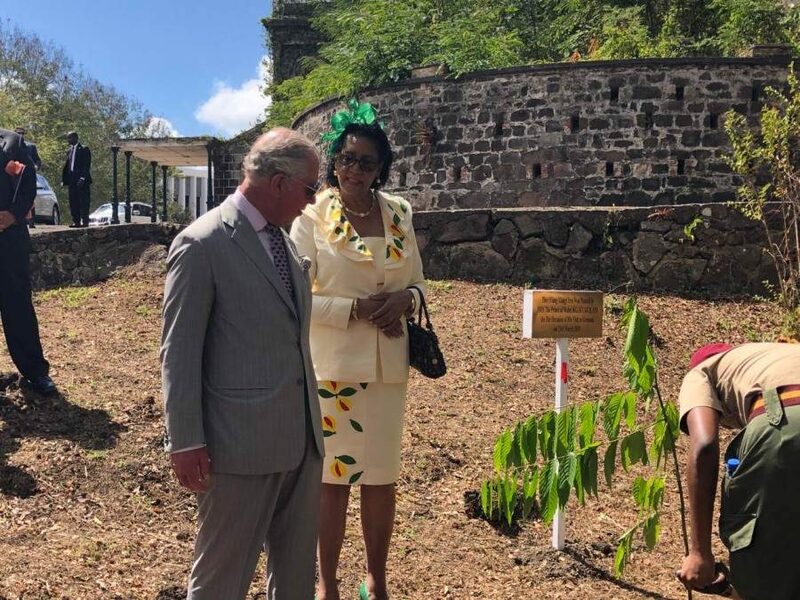 Prince Charles’ visit to the region is part of a mission to further strengthen ties with Commonwealth countries and serves as further confirmation of his intent to inherit the role as Head of the Commonwealth from his mother, the Queen. After engaging in a welcome ceremony, he planted a tree near the old Governor General house. 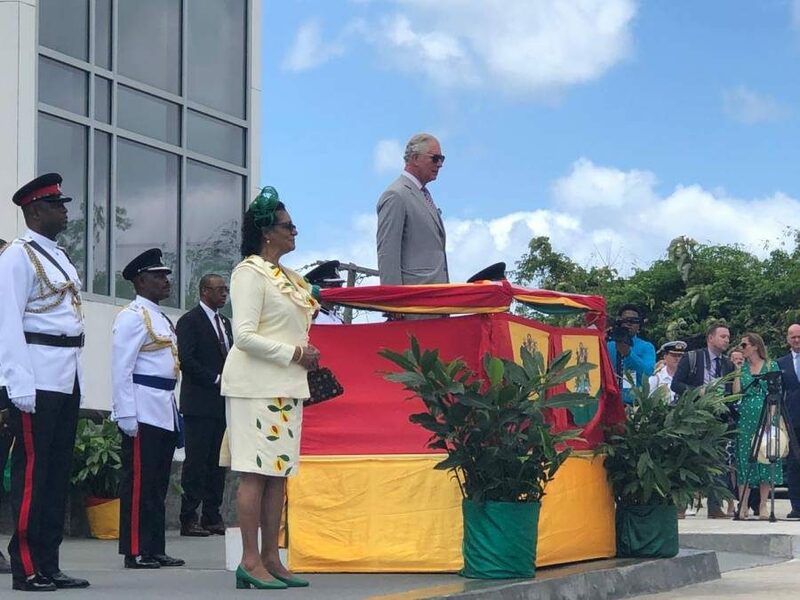 The royal couple later toured the House of Chocolate on Young Street and attended a pop-up farmers’ market in front of the Financial Complex on the Carenage. 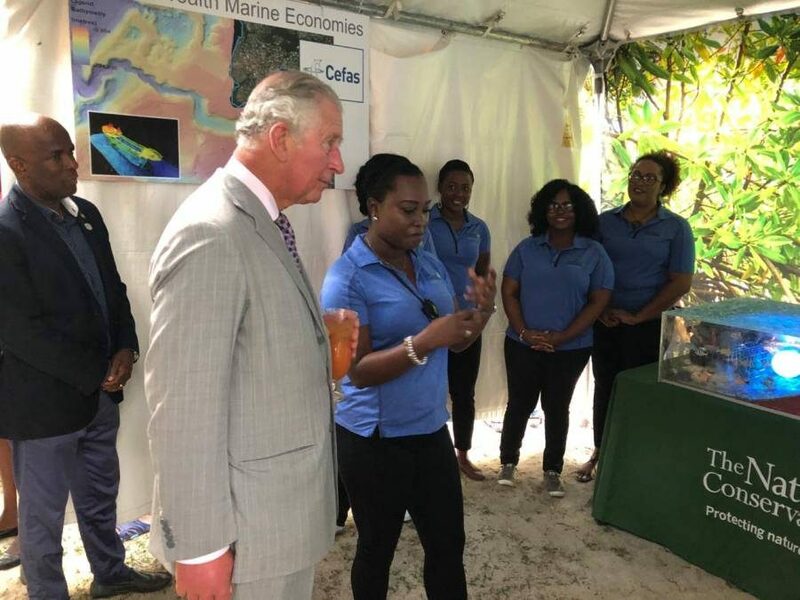 They participated in a Blue Economy Roundtable discussion at Spice Island Beach Resort and later toured exhibitions from various environmental organisations positioned near the mural at Dive Grenada on Grand Anse beach. The royal couple was scheduled to depart Grenada at 5:30pm. Thanks very much for your report and wonderful photos. Great stuff. Take care. I get the impression that the big boys are restarting their patrols in the forgotten Carribbean to remind them of who is really in charge.